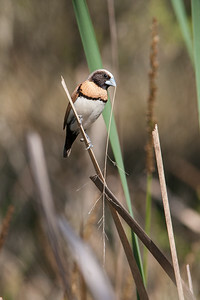 A male finch with grass to add to his nest. 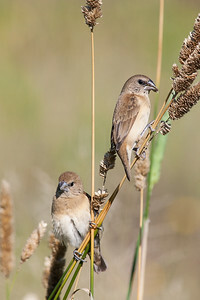 Two female finches in the grasses. 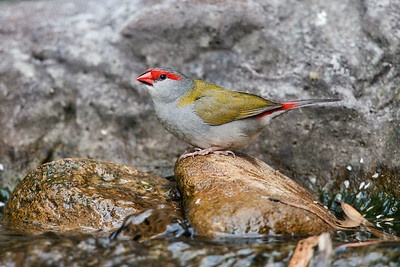 A finch drinking from a water feature in a private garden.